World of Warcraft remains one of the best PC MMOs around, and Warlords of Draenor its most compelling reason to play in an age. But it looks as if the expansion is hurting Blizzard in the short term. Just as the water recedes before a wave, subscriber numbers have fallen once more ahead of its release. 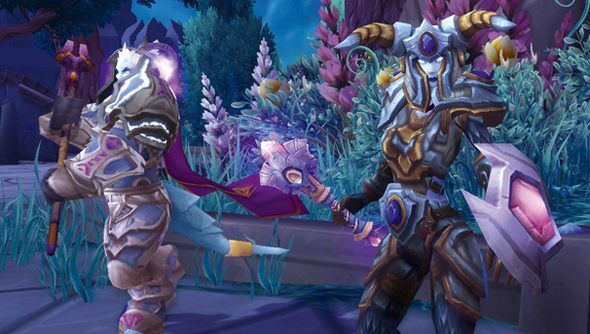 World of Warcraft’s total subscriber base now sits at 6.8 million – down 800,000 from March. Most of that decline happened in the East, and was attributed to both “seasonality” and the end of an expansion cycle. “This pattern is right in line, percentage-wise, with the drops that we saw at Cataclysm’s cycle in Q2 2012,” Blizzard CEO Mike Morhaime told investors. There are now over 1.5 million pre-orders for Warlords of Draenor, Blizzard revealed in the earnings call yesterday. Morhaime said he expected “strong support” for the expansion from the WoW community. Blizzard are actually making more money from the game than this time last year, thanks in part to sales of a level 90 character boost. WoW subscriptions peaked in the wake of Wrath of the Lich King, between 2009 and 2011 – but dropped sharply after the release of Cataclysm. Mists of Pandaria provided only temporary relief, and the game has now dipped below pre-2007 subscriber levels. Warlords of Draenor has garrisons, though! And did you see what they’ve done with Nagrand?